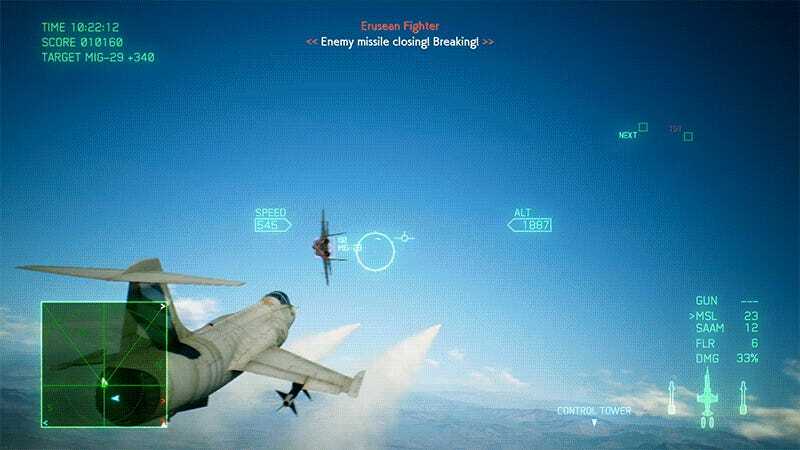 Ace Combat has been serving the arcade-style dogfight loving public for more than two decades. Since 1995’s Air Combat for the PlayStation, the series has weaved a story most players would be completely content without around some of the best aerial warfare available on consoles. 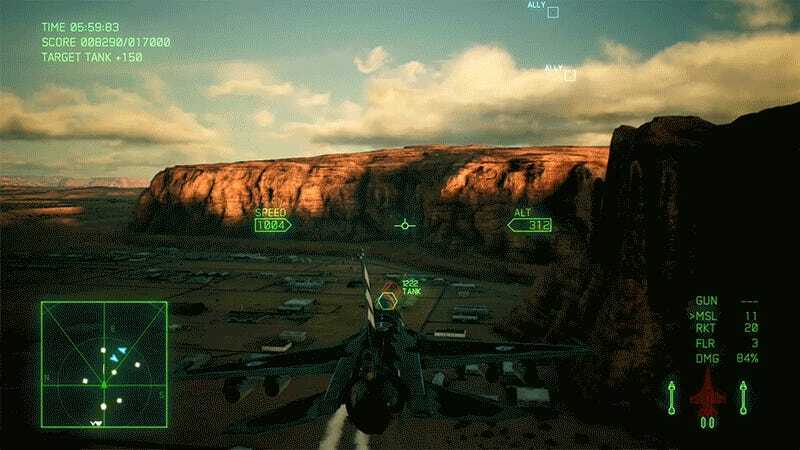 The only truly unpleasant entry in the series thus far is 2014’s Ace Combat Infinity for the PlayStation 3, a free-to-play experiment that fell flat. It’s a ridiculous storyline that’s woven together with Ace Combat’s signature flair. The game opens with the young mechanic reminiscing about her grandfather, explaining how she and her grandfather’s friends rebuilt an old airplane, which she then flew into the middle of a conflict, which got her tossed in prison. Several missions into the game, Trigger winds up at the same prison. Now, instead of being a promising rookie, Trigger is a “murderer!” Other pilots are betting on his demise. Instead of encouraging him to fight, control is saying things like, “Don’t worry about dying, worry about your sins.” Those guys. Things get really interesting once our pilot falls from grace, and we start getting missions the Oseans would only give to convicted felons. Like flying unarmed planes to make it seem like a fake airbase is a real one. Or being sent to gauge enemy ground defenses by being a target for enemy ground defenses. Things get much more exciting once there’s nothing left to lose.